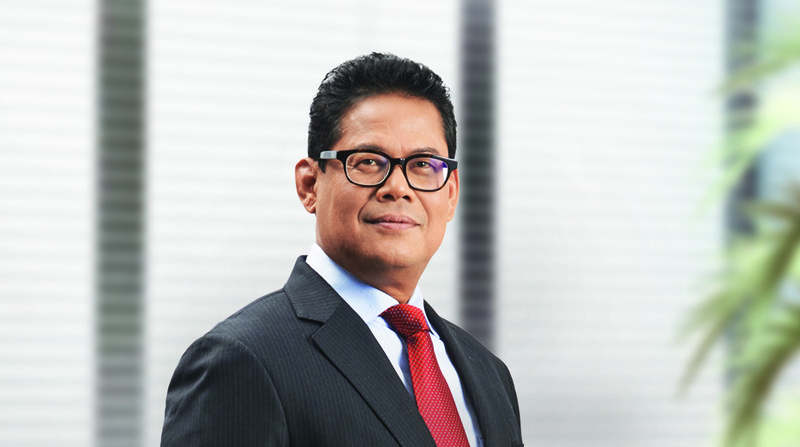 Strong roots within the Felda family and corporate echelons holds Dato’ Zakaria Arshad, the new CEO in Felda Global Ventures in good stead. He has the added advantage of gaining business acumen and leadership support from his Vistage membership. All eyes are on him to rejuvenate the sluggish conglomerate. Rarely is a new CEO watched so closely by corporate players, shareholders, media and stock market analysts in Malaysia. Many eyes are on Dato’ Zakaria Arshad, CEO of Felda Global Ventures Holdings Bhd (FGV), appointed in April this year. The spot light is intense because of many factors. This Government-linked Company (GLC) has strong ties not only with Government but also with thousands of Felda settlers. It is the largest crude palm oil producer in the world but its share price has been dismal since listing in 2012. Distress was raised when the Group reported first quarter losses this year, regaining composure when it returned to black in the second quarter ended June 2016 registering revenue of RM4.14 billion and profit before tax and zakat of RM108 million. But the 56-year old CEO and Vistage member (VCE-8) appears nonchalant. Dato’ Zakaria is cool and exudes confidence in his ability to prove himself. He has several trump cards in his favour. Foremost are his roots – he is the son of a Felda Settler and has been working for 32 years in various corporations under the Felda umbrella. Another is his Vistage membership of five years under Chair JA Lew, where he draws valuable business acumen. Distinguishing himself from his predecessors, Dato’ Zakaria is rebuilding Felda with a ‘back to basics’ approach. This involves cutting costs, getting more value from existing assets and putting a pause to mergers and acquisitions. He has set his targets for significant change and improvement by 2022. The “feel good factor” is a big boost for Dato’ Zakaria as he faces the challenges ahead. He reveals that he had a huge Hari Raya celebration at his Felda home in Felda Palong 1, Gemas, where all his neighbours were delighted with his promotion. They were understandably proud that a son of a Felda settler has reached this pinnacle of success. Being familiar with the Felda corporate culture “inside out” makes his task easier . He has worked with various bosses and three Chairmen. “Each has his own style and challenges, I know how to handle them, where to push the buttons”, he notes. Also being a veteran in the Felda corporate circles, he is no stranger to the huge pool of managers and staff. The affable CEO believes that his friendly nature and good PR skills are very handy. “I know as many as 80% of them by name”, he adds. On the business aspect, Dato’ Zakaria acknowledges that revenue at FGV is huge but margins are low. He envies his fellow Vistage members who report lower revenue but much higher margins. The key, he has learnt, is to be financially savvy and account for every cent spent. As such cutting flabby costs and getting more value from assets are part of his plan to rejuvenate FGV. Dato’ Zakaria is in the midst of fine-tuning plans in all the six FGV business clusters – palm upstream, palm downstream, rubber, sugar, research & development services, and trading, marketing & logistics. Departing from convention, he is not using external consultants but relying on internal resources. “Why call outside experts? We should know better since Felda has been in business since 1956″, he asserts. A major target in the upstream arena is getting the oil palm plantations into better shape. He acknowledges that many trees are old and not giving good yield per hectare. A replanting programme of 15 ha per year is expected to give a younger average age profile of between 12 and 13 years come 2020. Learning from Vistage, Dato’ Zakaria also wants to reap more fruits by going on the ground. He says Vistage encourages the so-called “Go see, Ask why, Give respect” method. For him, this meant visiting plantations to see what is happening day to day. Among his discoveries is that some plantation managers are living far away from their plantations, affecting their management control and productivity. As such, he has included “must stay in estate” as a KPI for plantation managers. At the headquarters level, Dato’ Zakaria plans to cut administration and management costs. This would translate into removing extravagant ceremonial expenses, free trips and non-working visits. On top of this, all purchases will have to be prudent. “It must be calculated. Like invest 20 per cent and get 80 per cent return”, he explains. But he stresses that mergers and acquisitions will be stopped, for now. On the bigger picture, Dato’ Zakaria is planning to double the contribution of FGV’s downstream business from 20 per cent to 40 per cent. This is to make the Group less vulnerable to fluctuating crude palm oil prices. As a former CEO in charge of downstream business, he has many ideas on how to churn more profits from FGV products such as cooking oil, oleo-chemicals and biodiesel. Although a corporate man, Dato’ Zakaria says his exposure to the thoughts and ideas of business owners in his Vistage group has been invaluable to his career. “Their thinking is very different. I can take their experiences into my company. This is the biggest advantage to me”, he states. His Vistage group members have given him good advice based on their experiences, especially on financial strength and operational efficiency. He will pass the tips to his managers to apply in FGV’s operations. Despite his big promotion and busy schedule, he intends to continue his membership in Vistage. “I need to process ideas and issues plus destress……it is lonely at the top”, he admits. Besides his Chair, 15 other Vistage members in his Group have become good friends. He makes it a point to invite them to FGV functions.